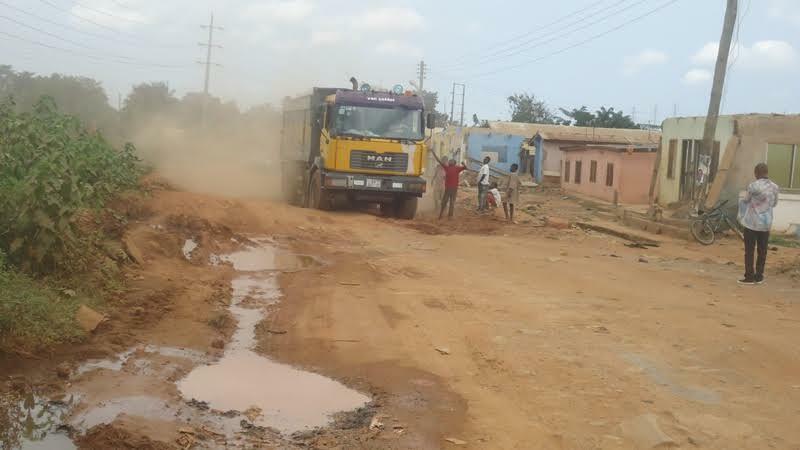 Members of the governing National Democratic Congress (NDC) at Afienya in Ningo-Prampram, Greater Accra, say they are ashamed to campaign in the area following government’s inability to fix a major road in the constituency. Habib Mohammed, who is also the Assemblyman for Afienya, said party members could hardly pride themselves because the electorates in the area had lost confidence in them. He said a thousand tons of assurances the NDC gave the electorates that the 7.2km deplorable road between Afienya and Dawhenya would be fixed, had been a fiasco. He said the road was a major political campaign message for the NDC in 2008, and the party, he continued, made enormous political capital out of it against the government of the New Patriotic Party (NPP). 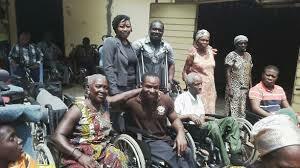 During a tour of the area by ghnewsnow.com, Habib Mohammed said, when he became president; the late John Evans Atta Mills visited the road and promised to fix it by the end of his first term in office. Subsequently, he said residents and commuters were happy when, in 2013, they saw M/S Cymain Ghana Limited, construction firm, mobilize to site. 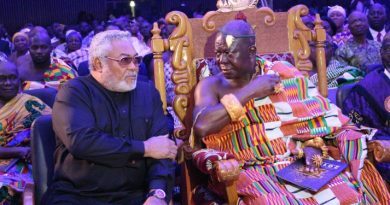 Habib explained that the reconstruction of the Afienya-Dawhenya road—which would be a dual carriage—was a major route that would connect the Tema-Aflao highway and Tema-Akosombo highway, and so about 100 buildings were knocked down to allow for the road expansion. 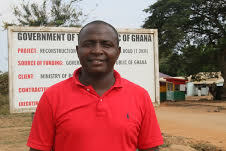 Persons whose buildings were demolished for the reconstruction of the road had not been paid any compensation since then “and if my government knew it had no money to finance the construction now, why must it allow the contractor to move to site and then render people homeless, and leaving the rest of the households to be engulfed in thick dust daily?” the Ningo-Prampram NDC youth organiser questioned. “The contractor told me personally that the government had failed to pay him, therefore his abandoning the site,” Habib explained. During his ‘accounting to the people’ tour of the Greater Accra Region, President Mahama made a stopover at Dawhenya, where he addressed the people that in about a fortnight’s time, the contractor would paid some money to enable him move to site to commence work. However, Habib Mohammed said “it’s been about two months now since the president gave that assurance but I can tell you on authority that my president had disappointed us because the contractor has not moved in. “The NPP is using this road against us and they are right. 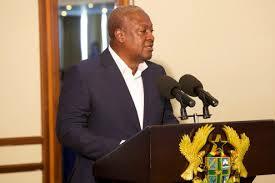 It’s a failed promise and so the NDC is shy to go to commuters, other electorates and persons whose buildings had been destroyed for the road reconstruction works to campaign for the NDC and President Mahama,” he stated. 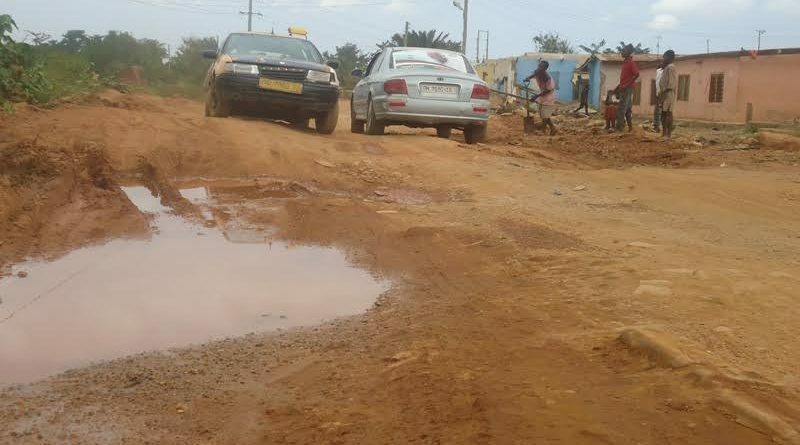 With only three months to the elections, Habib Mohammed said there was no way his government could fix the road, which he said would cause the NDC dearly. Chairman of the Afienya Taxi Station, Agbe Ebenezer, told ghnewsnow.com, that the road was so immotorable that there was no week that a commuter was not attacked by an armed robber. He said vehicles had continued to break down in the middle of the journey and that was causing financial losses to motorists. “We are spending almost all our earnings on spare parts and since the government has failed to give us a better road, we, as taxi drivers, will teach it a great lesson. “The NDC said this year’s elections shall be based on issues, and since our issue is that we do not have any kilometer of good road in Afienya, taxi drivers in Afienya and Dawhenya are waiting for December 7 to bid farewell to the government,” Agbe said. At the Dawhenya end of the road, a big gully had been created thus posing as a death threat to commuters.